Follow this blog, Times of Malta! Private Italian airline Volotea this afternoon started trice-weekly scheduled flights between Malta and Catania. 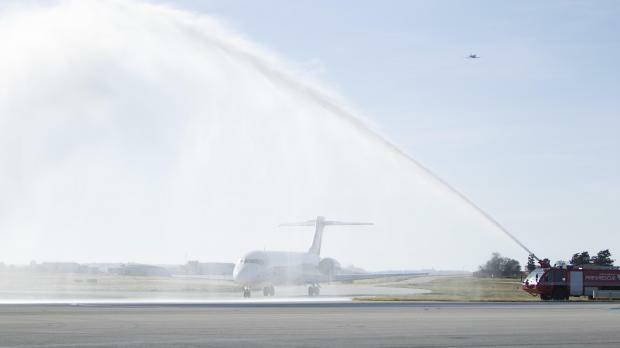 Its colourful Boeing 717 aircraft was given a watery welcome by fire-fighters when it landed at Malta airport for the first time. There’s a mistake in that short news item which appeared in the Times of Malta website. Pity they don’t read NotOnlyGrammar.com because they would have learnt something from a previous blog post about the error they made. Can you spot what’s wrong? Write in, I’m waiting for your ideas!